If you’ve paid attention to the brightly colored posters around campus recently, you’ve noticed that many of them say something to the effect of “I had no idea eating disorders don’t discriminate” with statistics about student athletes and college students in general. The reason behind these mysterious posters is that February is Eating Disorders Awareness Month, and the goal is to help everyone be aware of the signs of an eating disorder in their loved ones and peers, particularly those who are of college age. Allison Rinard, a former nursing major and junior at SNU, spoke to the truth behind the posters around campus. 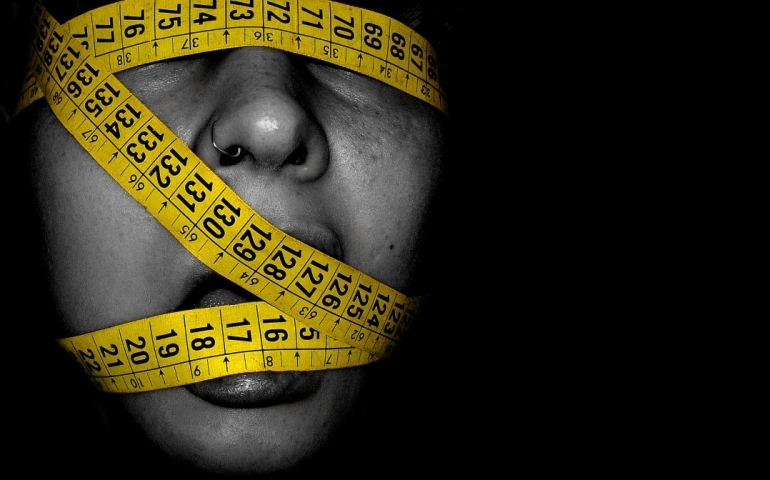 The consequences of eating disorders have a wide range, including but not limited to tooth decay, kidney and heart failure, Type II diabetes and osteoporosis (the loss of bone density typically found in older women). So, what are the signs that indicate an eating disorder in a friend? Exercising excessively without adequate food intake, an obsessive fear with gaining weight and a low self-esteem can all be signs of anorexia, but there are many other indicators as well for the various types of disorders. For example, people with binge eating disorders tend to eat alone while binging to avoid embarrassment and eat faster than they did before the onset of the disorder. It is also not uncommon for individuals with anorexia or bulimia to use over-the-counter medicines in more extreme ways. Although signs of eating disorders cannot always be clearly identified with people whose daily routines include regimented workouts, such as student athletes, it is important to keep your eyes open. Taking the time to be observant of others’ actions may just save someone’s life.